We are one of the recognized organizations engaged in manufacturing, supplying and exporting a wide range of Elongated Process Stick Diamonds. These diamonds have naturally mined elongated shape. 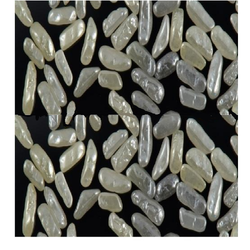 Owing to their features like high toughness and thermal stability, these diamonds are widely demanded by the clients. Moreover, we test these diamonds on various well-defined parameters so as to ensure their compliance with international standards and norms. 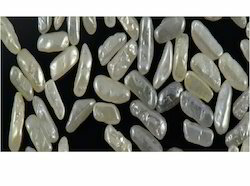 We are one of the prominent manufacturers, suppliers and exporters of a comprehensive range of Process Stick Diamond. In order to provide a round shape to these diamonds, these are processed in different degree of finishes. Our offered diamonds are widely used in different drilling and mining applications. The Process Stick Diamond offered by us are widely demanded by the clients for their features like purity, thermal stability and hardness. We also test these diamonds on various parameters so as to ensure their flawlessness.